Tiny Plane Brand Name ? Can anyone put a brand name to this tiny little plane ? The sole measures appx. 3 3/8" x 1 1/4"
Re: Tiny Plane Brand Name ? This is partly a guess, but I say Craftsman. 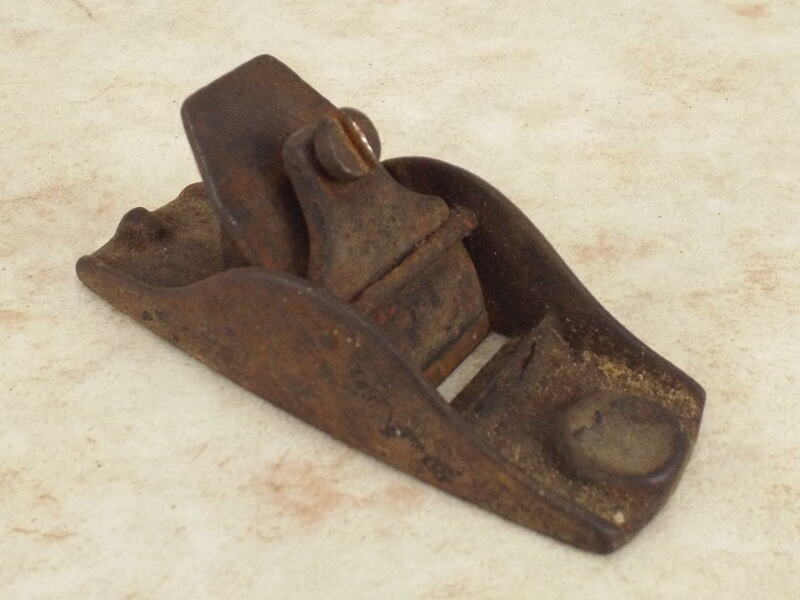 As Professor Leach points out in his little essay, a lot of manufacturers made imitations/clones/versions of the Stanley plane; and, if Sears decided to add it to the lineup, they'd have contracted with one of those companies to produce it for them. I owned one for a while, cost me $0.67 (three items for two dollars at a yard sale). I found it awkward to use...just too small for my hands. 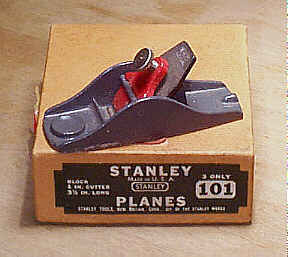 The Stanley box label shows the 101 at 3 1/2". Don't know about the one in question. Note that the Stanley's finger dimple is set back from the front by just a bit, but the one in question has its dimple even with the front. So the question is did someone copy Stanley's or did Stanley copy somebody else's? There's a third possibility, always. Stanley was kind of the Microsoft of the 19th/20th century woodworking tool world: always buying up competitors or companies offering a product they'd like to offer. The design could have entered their product line that way. I don't know which it is in this case. I've seen those (thumb planes ?) by a bunch of makers.... as usual, Stanley had it "first." 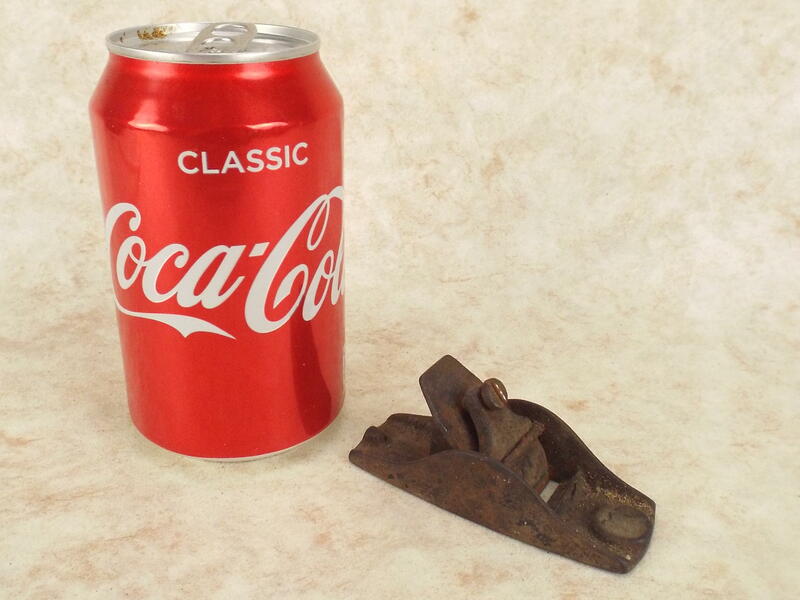 But, Craftsman, Stanley, Sargent, Stanley Handyman , … after that every high and low class plane maker had them. I can't tell from the picture, but how "thick" the blade is can tell a little bit about it. Also, if the "thumb" part is completely smooth, more likely a Stanley then the others. That's my two sense... which may not make sense at all.